A bottle of premium Moet & Chandon sparkling wine is available to add with your flowers for Christmas. 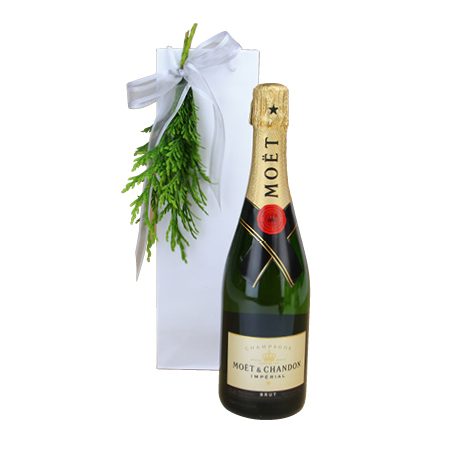 Beautifully packaged in a stylish gift bag and sprig of fresh pine decoration, you can order your Moet online for Australia delivery. Only available with a delivered flower order. The purchase of alcohol is prohibited to all persons under 18 years of age.